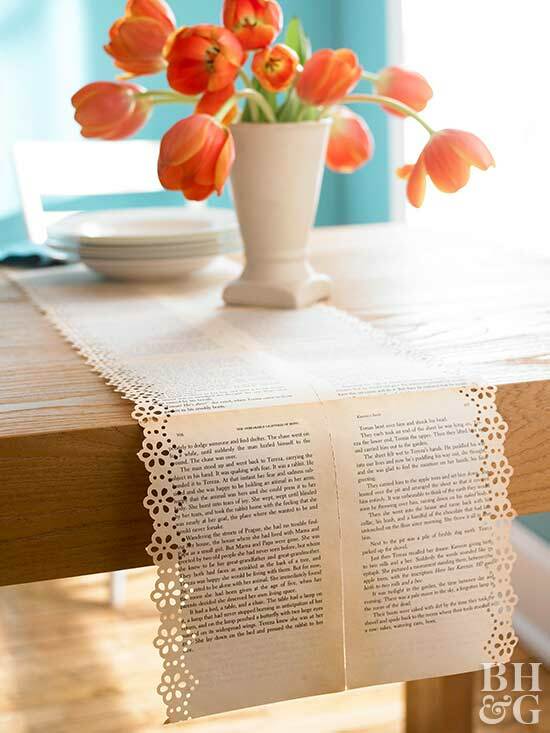 I have been searching for a Fall DIY table runner to make. There are oodles of great ideas out there. I haven’t decided on what I’m going to make yet, but here are some of my favorites. While all of these would be great for Fall, many could be used year round. 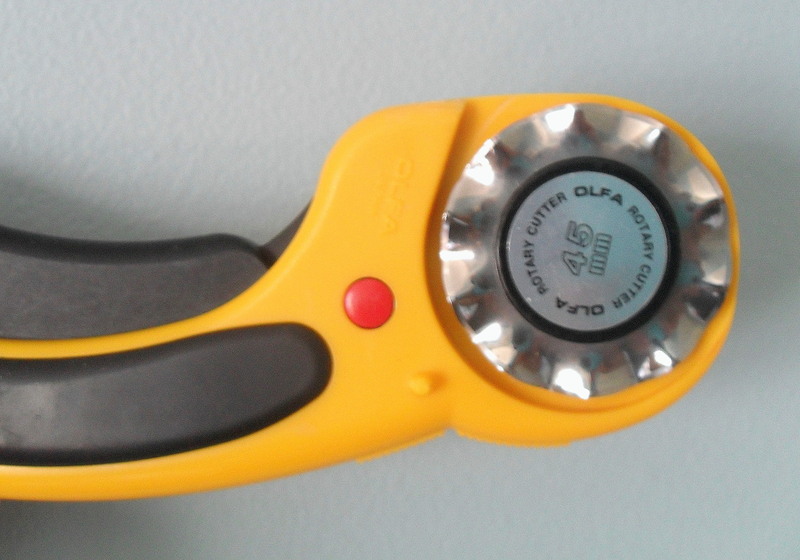 Being a girl who loves tools, my favorite is the ruler runner. 😉 What’s yours? 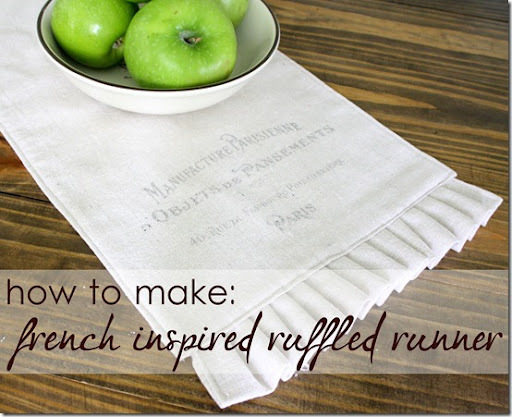 Posted in DIY Decor, FYI (ideas & info) and tagged Autumn decor, burlap, Crochet, DIY, DIY blog, Do it yourself, Fabric, Fall, Fall decor, Home, home decorating, Sewing, table runner ideas, table runners, tablescapes. Bookmark the permalink. The men in my life (hubby and son) are very left brained, analytical and math geniuses. (so NOT me.) I asked my son a question about how long a computer upload would take and he stood there in front of me and did algebra out loud without paper, pencil or a calculator. Really? I can’t even have milk in my cereal because it’s too confusing to figure out if I should drink or chew! Posted in OMG (happenings) and tagged Crochet, DIY. Bookmark the permalink. I made a smaller version of the crochet pillow I did before. It turned out really cute. 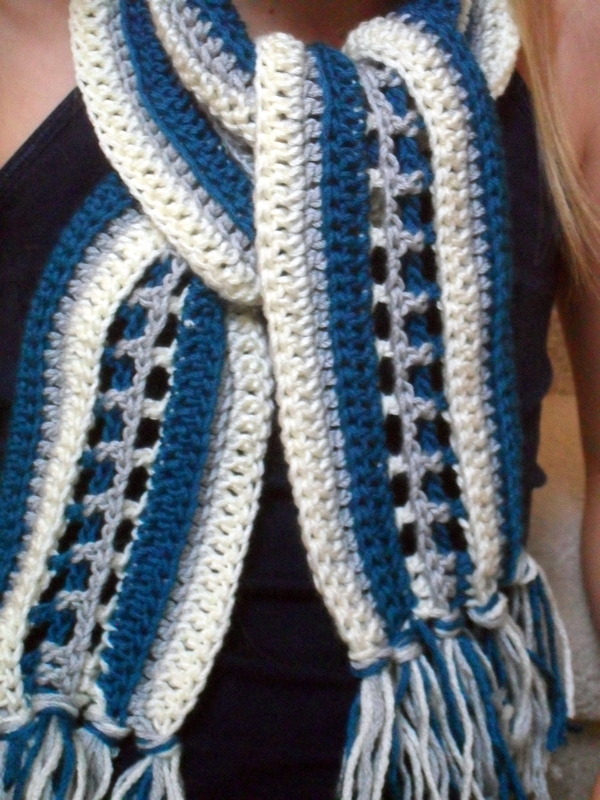 But if you want a super easy crochet project, scarfs are the thing to do. And consider yourself warned… they are addictive! 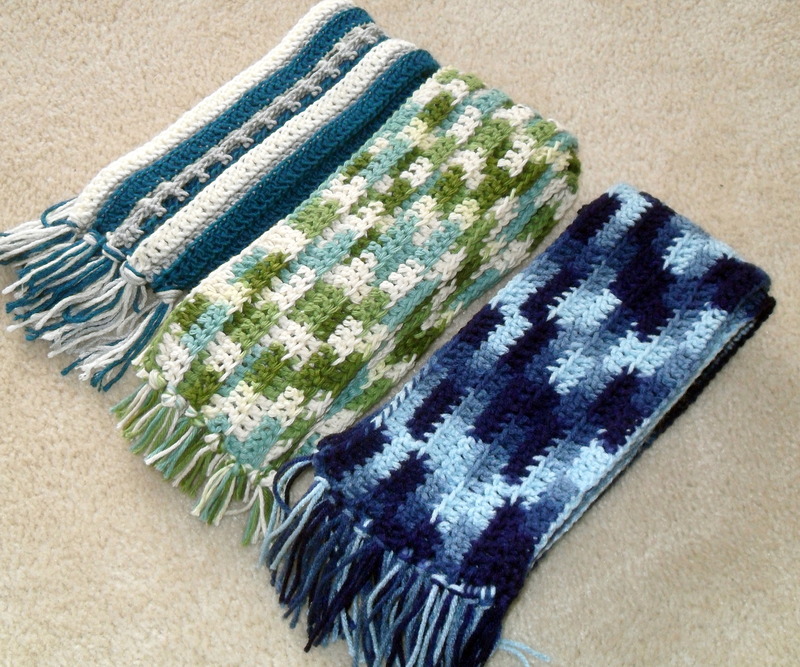 The scarfs below are done with a double stitch. My BFF is now hooked (ha!) on crocheting and can’t stay away from the yarn section at Michaels! The two bigger multi-colored scarfs are hers and they are beautiful! Posted in FYI (ideas & info) and tagged Christmas, craft, Crochet, Knitting and Crochet, Pillow, Scarf. Bookmark the permalink. I have been crocheting for years, mostly making afghan and scarfs. 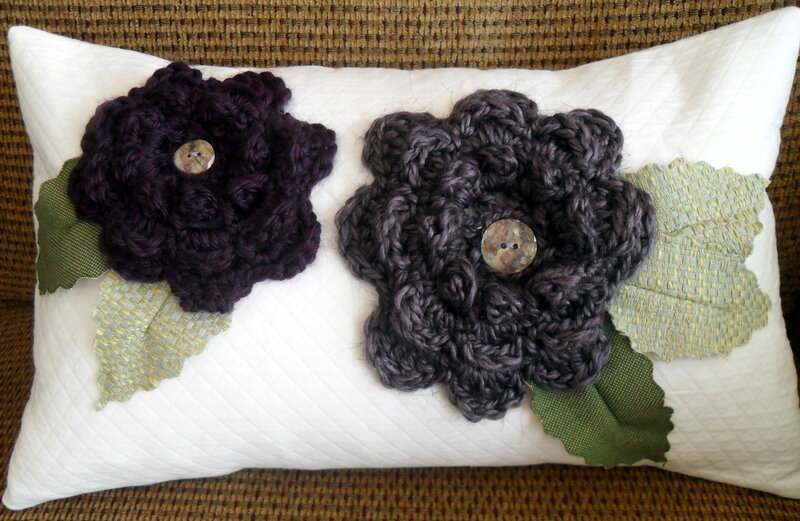 But now I’m completely addicted to making crochet flowers! If you are new to crochet, it is an easy thing to learn. There are many books and websites are out there with very simple instruction on how to do the basic stitches. Once you learn a few stitches, you can make just about anything. And you’ll get hooked! (yes, pun intended!) Ha! The pillow I made was easy. All I used was three crochet flowers, some buttons and scrap material. 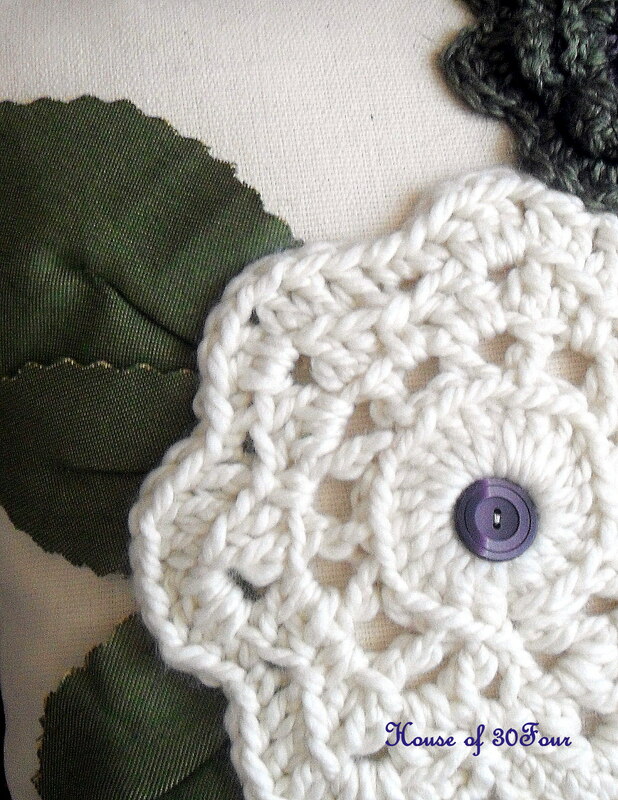 I tried to sew the flowers on the pillow with my sewing machine, but I didn’t like the look of the stitches showing. So I hand sewed them on. Buttons were used for the flower center. The petals were cut with a wavy rotary cutter free hand (no pattern). 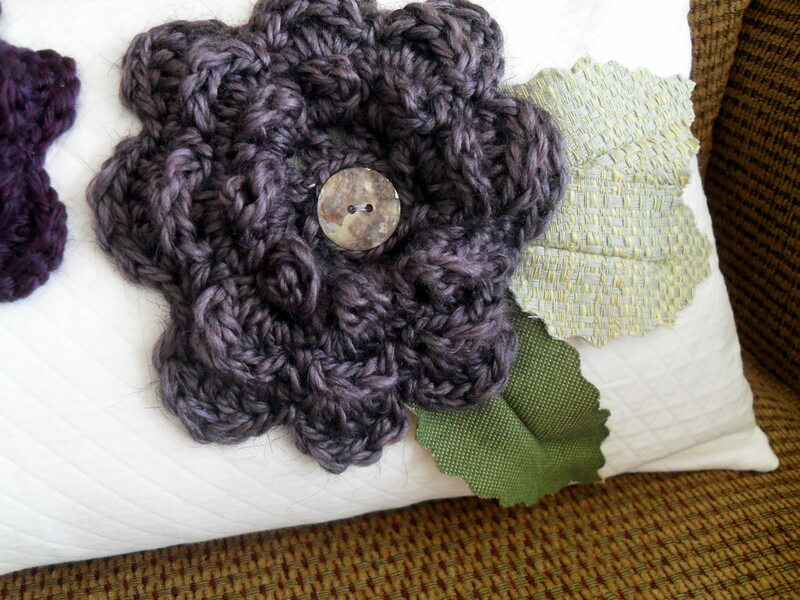 I did sew the bottom of the flowers to the pillow and used a dab of fabric glue on the tip of the leaf. (Prevents your leaves from flapping around.) The pillow has an envelope back. 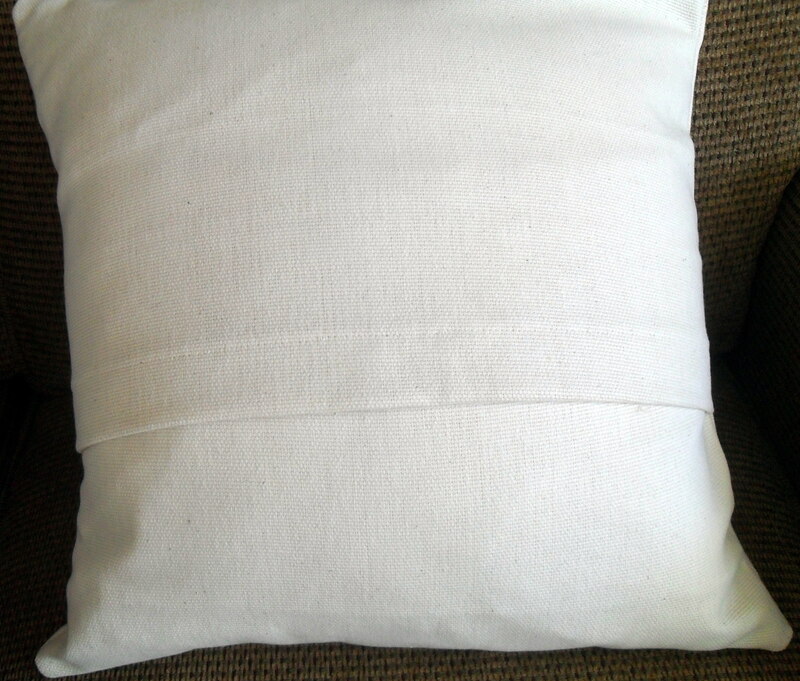 Envelope pillow back… no need for zippers! 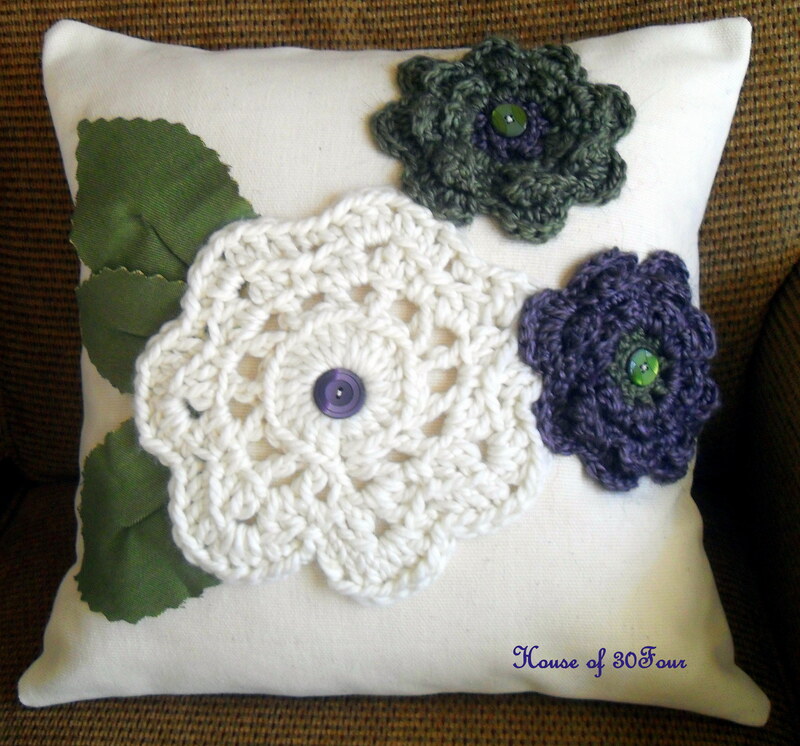 Posted in SOS (tutorials) and tagged Christmas, craft, Crochet, Knitting and Crochet, Pillow, Sewing. Bookmark the permalink.